Carl Chetty and his company, Chetty Builders, have been building homes and developing subdivisions for decades. They believe in building quality homes with a unique, personalized approach, while valuing their commitment to craftsmanship, customer service, and the vision of their homeowners. 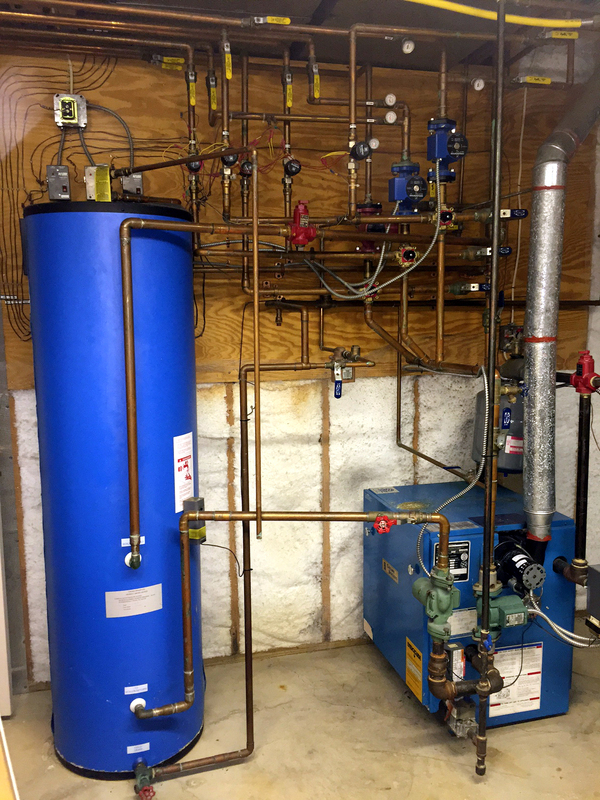 So when it came to building his own home in 1995, Carl decided to go with the best and included a whole-house hydronic Infloor Heating System to heat the 6,000 sq. ft. space, using a concrete installation in the basement and gypcrete throughout the rest of the house. “I choose to work with Infloor because of their innovative systems and technology at the time,” Carl said. Back then, Infloor Heating Systems was just beginning to gain ground as the most energy efficient and comfortable heating system available. “We decided to use radiant heating because it was, and still is, the best option for comfort,” Carl said. “My wife is originally from California, which inspired the idea of us going radiant because it is more a consistent and comfortable heating method. I wouldn’t have anything else,” he said. Located in the Philadelphia suburbs, their winters are quite different than the west coast, and keeping his family comfortable during the cold months was important. Since the original installation of Carl’s Infloor radiant heating system 21 years ago, technology has advanced leaps and bounds. As a builder, he is well aware that boilers and components have improved greatly offering more energy efficiency, programming options, and control of your comfort level. 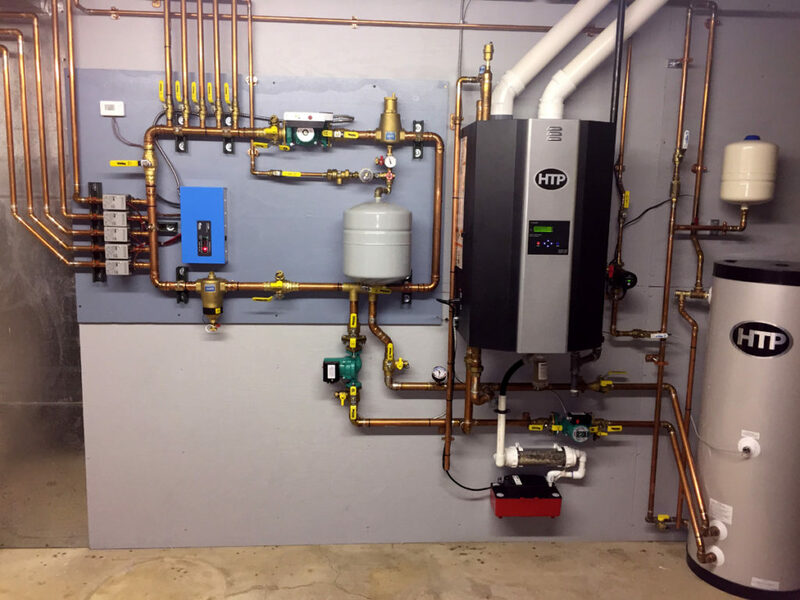 This year, Carl embarked on redesigning and installing a completely new mechanical room for his radiant heating system, and called on Infloor for the guidance and direction to take on the upgrade. He also decided to take on the replacement the mechanical room himself for the challenge of it. And we set out to make it as simple as possible for him. 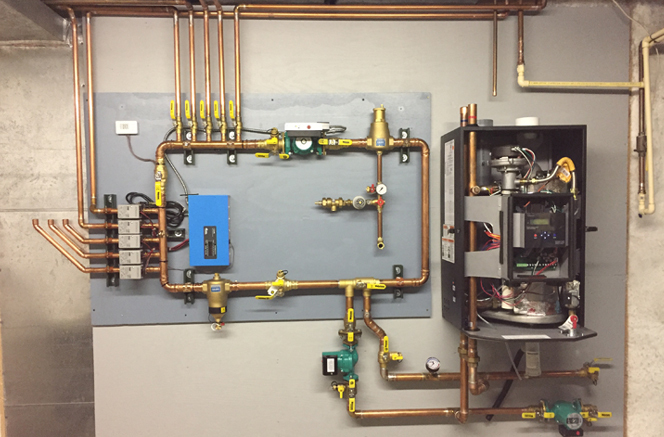 We recommended a custom-made mechanical board to hang on the wall, which would replace all the old piping and components that were placed on the floor, along with a new two-temperature HTP boiler. The new configuration would open up space in his house and cut down the installation time significantly. And this particular mechanical board is the very first of its kind with the pipes coming in on the left side, instead of the right. This is the first time we built one this way. 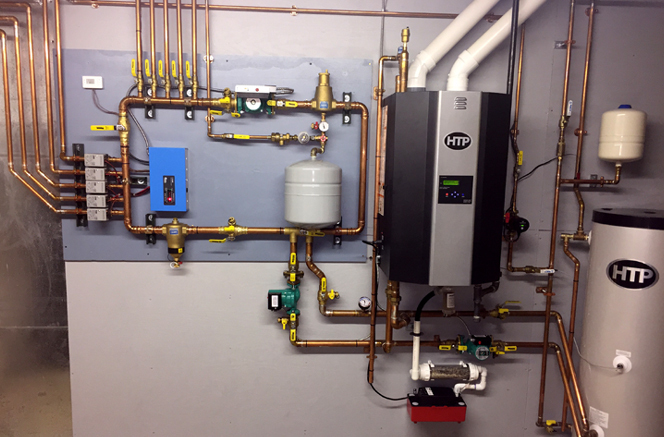 A new, custom-made mechanical board, hand-made by Hi Valley Supply, replaces all the old pipping of the 21-year old hydronic Infloor Heating System. It is the first of its kind with pipes on the left, instead of the right. The old boiler was replaced with an HTP Elite Fire Tube Modulating Condensing Boiler with varying temperatures and self-cleaning feature, along with a new HTP Sidearm SSU-45 water heater. The new boiler is smaller and more energy efficient. HTP’s EFT Boiler was rated one of the Most Efficient Boilers of 2015 and 2016 by ENERGY STAR. It is estimated that if just 1 in 10 households used ENERGY STAR certified heating equipment, we would eliminate 12 billion pounds of greenhouse gas emissions annually. High efficiency residential boilers save energy, money, and protect the environment. While traditional boilers are not able to modulate, high efficiency boilers modulate which allows the boiler to run longer and at lower fire rates while maintaining the desired temperate in your home. This improves efficiency and saves energy. “The new boiler runs at a lower temperature and only uses what it needs for energy,” Carl shared. 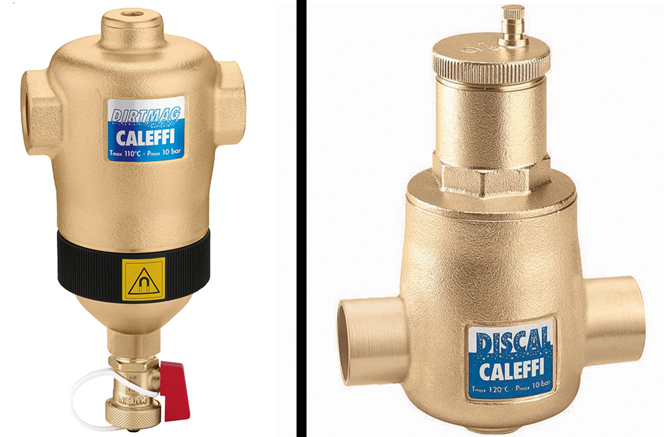 The new mechanical board includes a magnetic dirt separator, and Discal air vent for optimal performance. The custom-made Infloor mechanical board simply makes installation quicker and easier. “It saved me a tremendous amount of time,” Carl recalls. “The new mechanical board saved me about 60 hours of work and time,” he estimated. It also encouraged him to a better job. “The mechanical board is so neat and organized it actually inspired me to do a neater job on the installation,” he shared. “This mechanical room upgrade is like comparing an old tube TV to a new high-definition flat screen TV,” he said. “And working with Infloor made the job much easier. They are a great company to work with and their pricing is reasonable. I am really happy,” he concluded. Taking on the mechanical room make-over was a big feat for this homeowner. It was Carl’s first time attempting such a job, and we are inspired by his motivation and hard work. “Carl had to be one of the most astute homeowner installers that I’ve ever dealt with yet,” Scott shared. “He thoroughly read every manual and personally challenged me to answer questions that I’ve never been asked before. I appreciate the personal growth experience and wish everyone paid as much attention to detail,” Scott concluded. We can help you with your upgrade or design a new system. Whatever your project calls for, we can help. In case you haven’t heard, we make radiant heating simple! 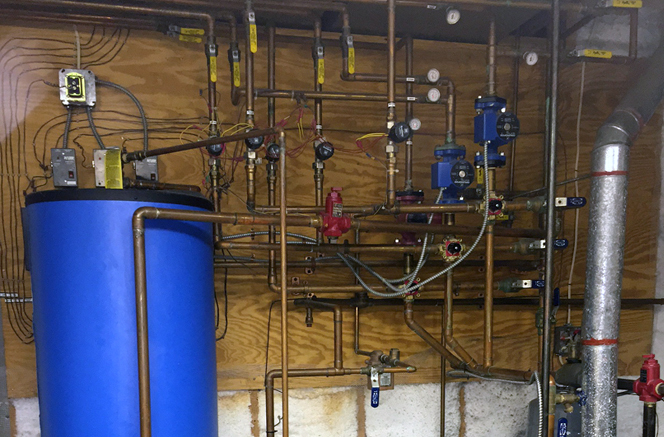 An original mechanical room for a whole-house Infloor hydronic radiant heating system, designed and installed 21 years ago. 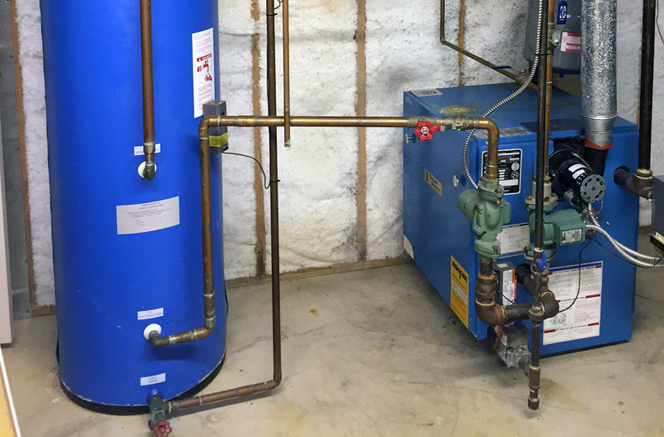 It was recently replaced with a custom mechanical board, new boiler, and hot water heater (shown above).